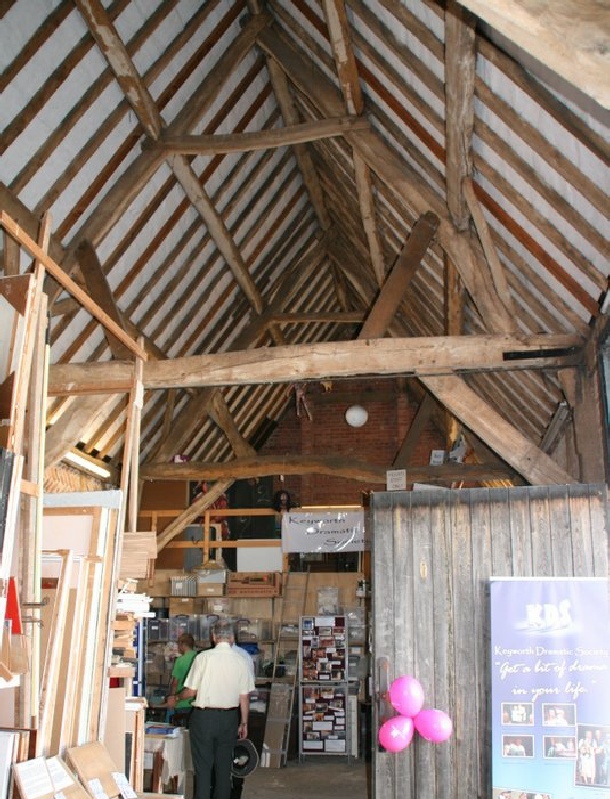 We visited this early eighteenth century barn in Keyworth, Nottinghamshire during the Heritage Open Days a few years ago. It was restored in 1977/8 and now houses the props for the local drama society. It has a box frame with brick infill, although it was originally wattle-and-daub. The tie beams are quite waney. There are two sets of purlins and the trusses have raked queen posts and straight wind braces. There is said to have once been a dovecote in the roof.